Don't be victim to chronic back pain, epileptic seizures, heart attacks, stroke, asthma attacks, anaphylaxis, hemorrhaging, allergies and hundreds of other conditions. You can now easily learn what leading health professionals say are life-saving techniques that even a child can apply. This is the most important DVD. Viewing this DVD should be the first step in learning about TKM® and the first exposure for introducing TKM® to someone else. 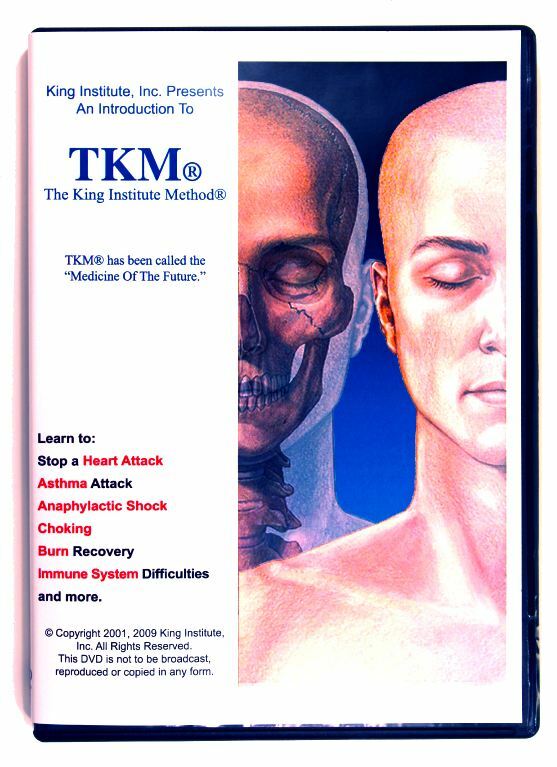 If not sure how to share TKM® with someone, we advise using this DVD as your introduction. It is informative and an effective introduction for families, professionals, doctors and organizations internationally. For Christian organizations you can also contact us to get a copy of two specials that 700 Club featured on TKM®. Published by the King Institute © 1998 Glenn T. King, PhD, CDN, CN, All Rights Reserved.